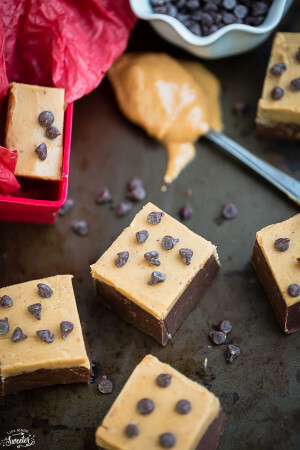 Easy 4 Ingredient Peanut Butter Fudge makes the perfect sweet treat for the holidays! 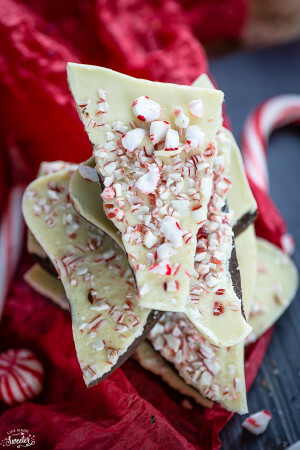 Make a double batch as a gift for your friends, family and neighbors! 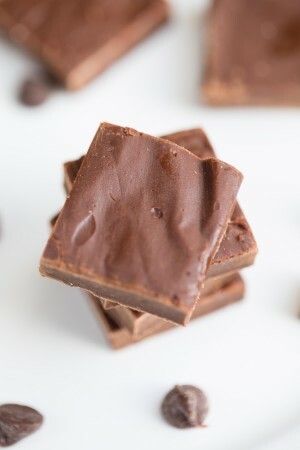 Fudge is one of my favorite treats to make during the holidays. It’s always a hit with friends and family and you can change up the flavors depending on what you have on hand. 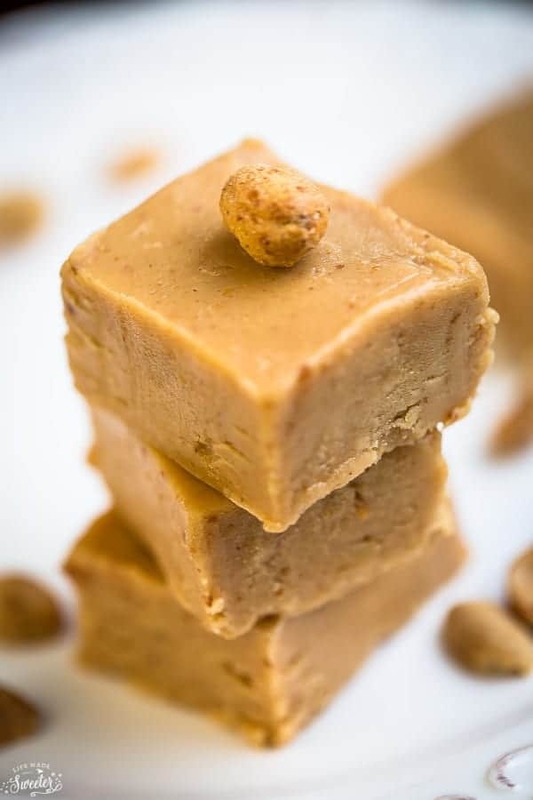 This Easy 4 Ingredient Peanut Butter Fudge is perfect for the peanut butter lover in your life. It’s rich, creamy and super addictive! Best of all, it’s incredibly easy to make! We start off by just heating up the peanut butter and butter either using the double-boiler method over a hot stove or the microwave. Then just stir in the vanilla and powdered sugar and spread into an 8×8 square pan lined with parchment paper. Let it set for at least 3 hours or pop the pan in the fridge for about an hour. It makes the perfect treat to cure that peanut butter sweet tooth or package it up for friends and family. Either way, it will be hard to stop at just one! Line an 8x8 square pan with parchment paper leaving a slight overhang. Combine the butter and peanut butter in heat-safe glass bowl and heat over a pot of hot (not boiling) water on the stove or in the microwave-safe bowl and microwave on high in 30 second increments and stir in between until melted and smooth. About 2 minutes or more. Add the vanilla and powdered sugar to the peanut butter mixture and stir to combine with a wooden spoon. The mixture will become hard to stir and lose its sheen. Spread in prepared pan and spread evenly with an offset spatula. Allow to set for about 3 hours or .lace in the fridge to speed up the process. Remove from fridge & pan using overhang and cut into 1-inch pieces and store in an airtight container at room temperature for up to a week.